Pressure cook all the veggies for 1 whistle and remove from stove. Once the pressure is released, add the salt & pepper powder and more water if required and allow the mixture to boil for 3 - 4 min. Vegetable Clear Soup is ready!! 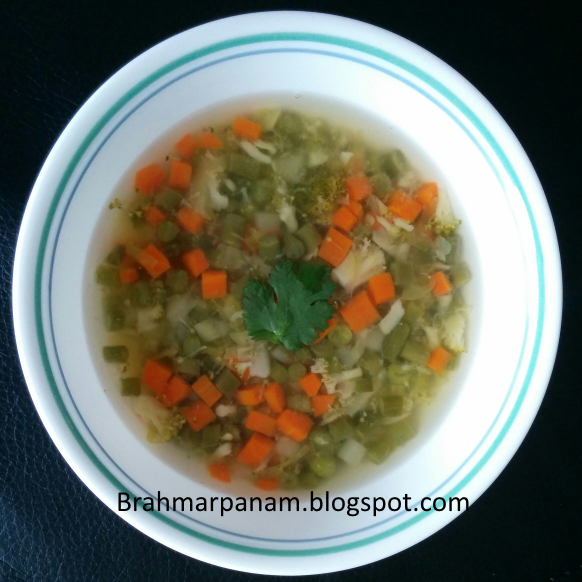 Pour the soup into bowls and garnish with chopped Dill / Coriander leaves and serve hot.